Whether you are visiting on a weekend city break or a longer holiday, the Macedonian capital of Skopje offers much to see and do. Located at the heart of the Balkan region, Skopje is brimming with history and can trace its roots back more than 2000 years. Perhaps most famous as being the birth place of Mother Teresa, the city has a diverse religious heritage and is home to some stunning places of worship, including the Church of St Panteleimon, which was constructed in 1164. The city has undergone many changes in the past two decades and now boasts a thriving financial centre as well as a selection of bars and restaurants that easily rival Europe's larger capitals. The weather in Skopje is very seasonal. During the summer months temperatures often soar to more than 30 degrees centigrade, while in winter it can drop close to freezing. Leading tourist attractions in and around Skopje include Lake Matka, the Mountain of Vodno and the mystical Old Bazaar, where visitors are sure to pick up a bargain or two. 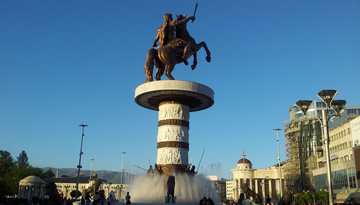 Ebookers offers Turkish flights to Skopje from Gatwick for £169 return economy, include taxes. 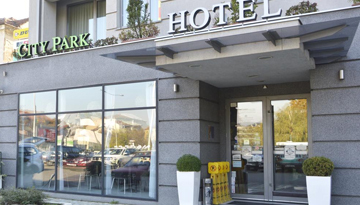 Hotel City Park, an idea city centre base, furnished to a high standard, the 4-star rooms. 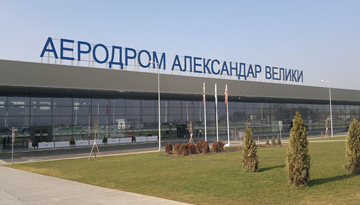 Fly from Luton - Skopje & Stay for 3 nights with 4 star accommodation. Room Only.